Eric Garcetti, Mayor of LA, has announced that the Chief of Engineers of the US Army Corps of Engineers, Lieutenant General Thomas Bostick, has signed off on the plan to restore the Los Angeles River, a major milestone in efforts to transform the river’s aquatic ecosystem. This approval is a critical step toward moving the city’s project forward to the US Congress for authorisation and appropriation of funding. 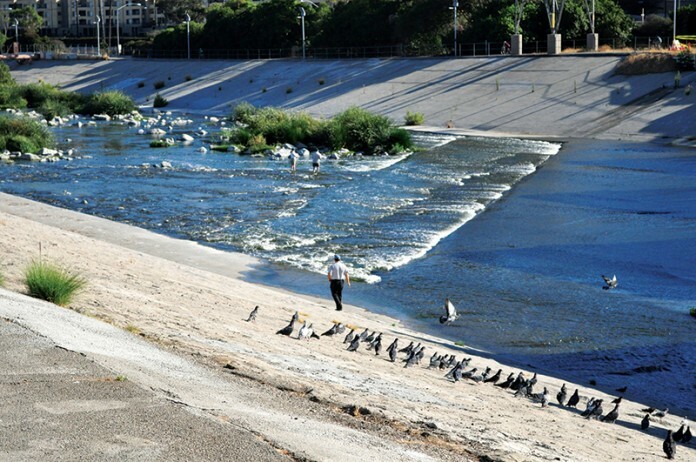 “Thanks to our partnership with the US Army Corps of Engineers, we have reached a watershed moment for a riparian revival in Los Angeles,” said Garcetti. “This plan represents more than 10 years of hard work and unprecedented collaboration, and gives us the opportunity to transform both the river and our city.” The Los Angeles River Ecosystem Restoration project proposes restoration measures in and along an 18-kilometre stretch of the river to reestablish scarce riparian strand and freshwater marsh and aquatic habitat, while maintaining existing levels of flood risk management.